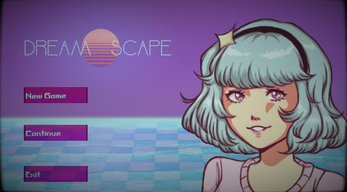 Dreamscape is a 2D Puzzle Platformer, where you must explore a mysterious and abstract realm with only a laser gun by your side. Solve puzzles by shooting lasers off reflective objects, and richoteing them to reach your goal. 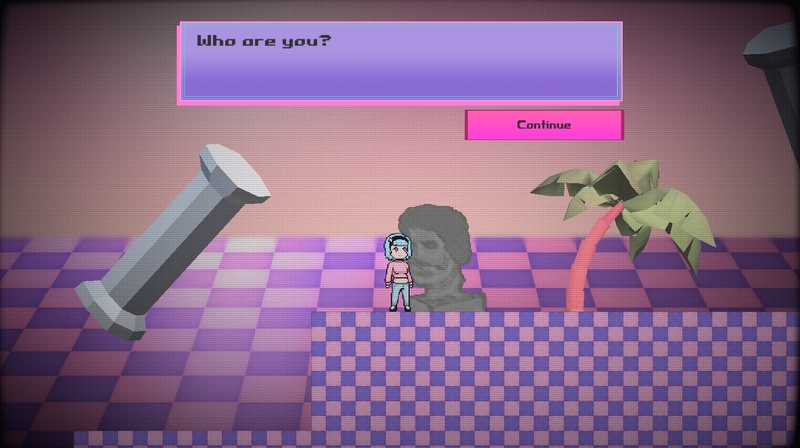 Explore 4 worlds with unique themes, and an ethereal and retro original soundtrack. 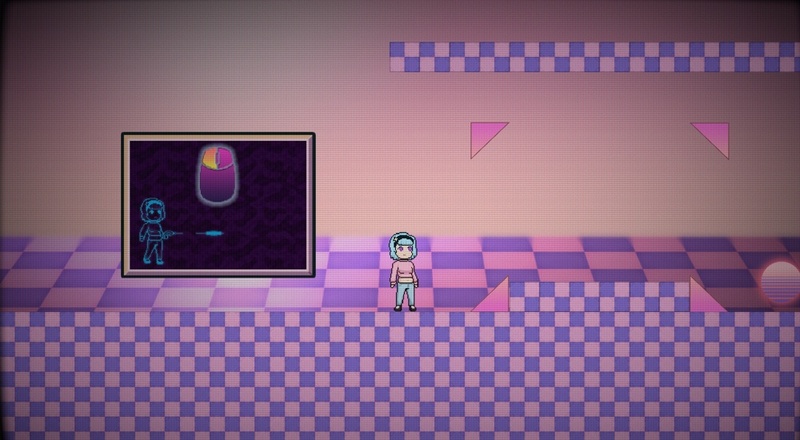 This game was developed in 8 days for TairaGames' August 2018 “Mood Change” Game Jam. Created by Jacob Melendez, Zachary Samalot, and Paul Riggio. -The player will sometimes clip into push-able triangles on rare occasion. -Occasionally, reflective triangles will not chain correctly or will miss entirely. We recommend lining up your shots properly to remedy this bug. -When jumping and touching certain walls in World 3, the players jump animation will get bugged. -Lasers do not disappear off screen if they are put in a "reflection loop". This will mean the sound effect for hitting a laser off a reflective surface will always be playing for the whole world. 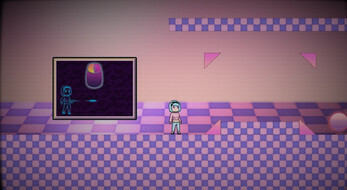 -The player does not come to a full stop after moving, which can make platforming feel slippery. Please report any bugs that are found, and we will try to fix them at a later date! 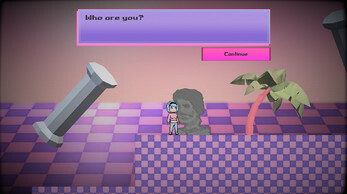 This game took lots of hard work and dedication to develop, as Jacob Melendez (the lead programmer) learned Unity in just the eight days given to program the game. I hope the effort was worth it, and thank you for playing! Click on "Dreamscape.exe" in the newly extracted folder. Adjust settings. We recommend playing in full screen 1920x1080. However, adjust however you like if your computer has lower specs. Dreamscape won the Game Jam! Our plans moving forward. Wow, just WOW Literally the most amazing game ever I can't even explain, but here I go - It's better than CiV V™ with the Brave New World™ Expansion Pack. I give it a 9.5/10. Great Job Team. You can also use the arrow keys! If that's not your style, in the Config menu before starting the game, you can change the game's inputs! So really, the feature is already there. nothing cooler than begging for subs on Itchio. for crying out loud guy. What's the problem with encouraging people to subscribe? It's advertising. true story - i have never in my life advertised my channel on anything other than my own channel.self advertising is pretty scummy, and looked down upon by pretty much everybody that sees it. make good content, and people will check out your stuff. Use twitter, put yourself out there - just don't put yourself in OTHER people's venues trying to get a slice of the people going there. I don't understand what your issue really is. I have shared many, many videos on itch.io and not one creator every complained about me posting those videos or about my encouragement for subscribing. Self-advertising is not scummy, it's advertising. And nobody went to other people's Youtube channels so that example is mute. Such UNFATHOMABLE ignorance. There is nothing wrong with advertising, nothing wrong with having a dream. You don't seem to have a lot of experience making videos. You need a lot more than good content to get out there. True, one can market on Twitter, IG, etc. But marketing on itch.io by playing games and GIVING them publicity while getting some in return is completely fine. In fact it is beautiful. Please, if you are struggling with your channel, think not to lash out at other creators who are still struggling. But instead feel their desire to achieve greatness. Anger and criticism will bring darkness to the caster and receiver. Instead bring positivity and appraisal to give others hope. Temmieneko, I believe in your greatness, I hope you believe in it as well.